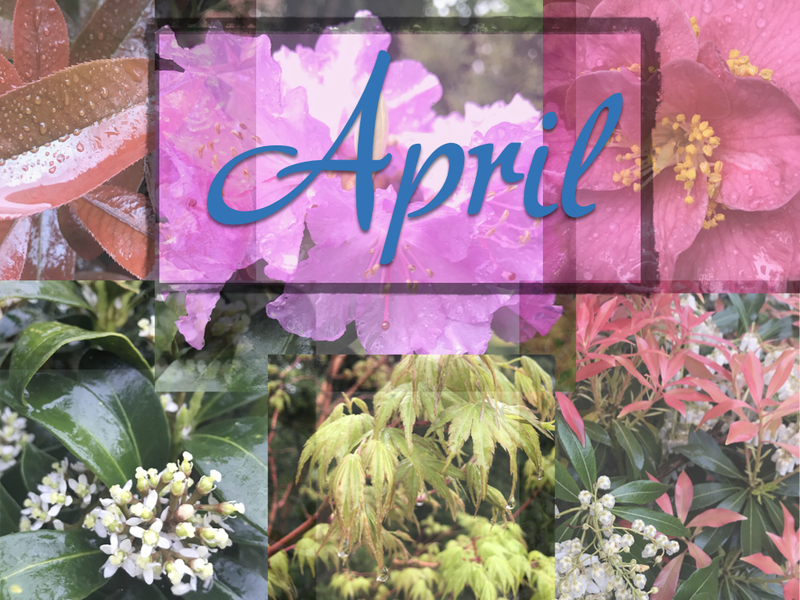 April in the Garden | Good News Tree Service, Inc.
YOU can help to make the world a better, a more friendly, loving and beautiful place by tending your spot on this earth that has been given to you—your garden. Here is a to do list to help you to do just that. If you have any suggestions of things that might be added to the To Do List below, please share them in the comments section. Pine tree pruning. Finish pruning coast/shore pines (Pinus contorta) and Scotch/Scots pines (Pinus sylvestris). These two pines are especially susceptible to the sequoia pitch moth whose larvae burrow into the tree trunks during the growing season (April through September) causing the trees to exude large amounts of unsightly pitch globules. While this seldom kills the tree, the bleeding of sap is not good for the overall health and vigor of the tree. It is advisable, therefore, not to prune these pine trees during the growing season, since the pruning cuts attract the moth, which then lays eggs on the tree, which hatch into tree-burrowing larvae. Pruning should be done on your pines from November to March. Pruning of large trees. Most trees in the temperate western valleys of Oregon and Washington can be pruned anytime of the year. If you’re not sure what to do, or how to do it, call Good News Tree Service, Inc. for a consultation, pruning lessons or to have them do the pruning for you. Prune fast growing ornamental shrubs that are beginning to look shabby. You may need to prune them again in the early summer for a more neat and manicured look. Reparative pruning. Repair winter damaged to trees and shrubs. Good News Tree Service, Inc. provides full plant health care services. Apple scab on ornamental crabapple and fruiting apple trees. The first visible symptoms occur on leaves in spring as pale, yellowish, water-soaked spots the size of a pinhead. These enlarge, becoming darker and smoky in appearance, later taking on an olive shade and ultimately a brownish black color. Spots may be any shape but are frequently circular. Young infections often show a radiating spread of fungal tissue through the leaf, and such areas later appear as irregular, brown-colored infections. Diseased leaves can be curled and distorted and often drop early. This fungal disease can also move into the fruit to produce a scabby effect, hence the name “apple scab.” Several fungicidal sprays are required to control this disease just prior to flowering and after flowering. Arborvitae Twig Blight (Thuja occidentalis): Spray in the spring and early summer when new growth starts at two week intervals. Cherry Leaf Spot: Spray cherry trees for leaf spot. Apply first spray at petal fall and two weeks later. Cherry Tree Brown Rot Blossom Blight (Monilinia fructicola): Make 3 foliar applications starting at bud break and at 14 day intervals. Coryneum Blight (Shot Hole Fungus) or Cherry Leaf Spot: This leaf blight affects ornamental and flowering cherry, plum and prune trees. Spray at petal fall, shuck fall and two weeks later. Deep Root Fertilization: Trees and ornamental shrubs—deep root fertilize to promote lush, healthy-looking and vigorous crown growth. Urban soils tend to lacking in many of the nutrients that trees and shrubs need to survive. Many are malnourished or are starving to death, which is why they don’t look radiantly healthy are struggling with pest issues. Deep root fertilization helps to promote healthy-looking and pest-resistant trees and shrubs. The best time of the year to do this is in the spring and fall. Dogwood Anthracnose: Begin spraying with a fungicide at bud break and continue at 10 to 14 day intervals. Dormant Spraying of Fruit Trees: Continue fungal sprays until after flower petals have dropped off. Magnolia Bacterial Blight: Apply one fungal spray in fall and twice in spring near budbreak. Leaf Blights: Spray trees and shrubs for fungal leaf diseases (e.g. powdery mildew, leaf blights, dogwood anthracnose, needle blights, etc.). Monitor trees and shrubs for insect pests. When piercing and sucking plant pests (e.g. aphids, lacebugs, scales, weevils, mites, etc.) hatch varies each year depending on when the warmer weather begins. Usually, hatching of plant pests begins from early to late April. When consistent warm weather begins to occur, start monitoring plants for insect nymphs and adults. If necessary, plan a course of action to treat your trees and shrubs against these pests. Photinia Leaf Spot: Spray with a fungicide as new shoots are developing at 30 day intervals. Piercing/Sucking Insects: Continue applying systemic insecticides against piercing sucking insects (aphids, lacebugs, scales, weevils, etc.) via soil injections (one treatment gives season-long control). Pine Dothistroma Needle Blight: Apply fungicide at just before bud break and a few weeks later according. Powdery Mildew: Apply a fungicides as soon as symptoms appear. Best efficacy occurs if used before symptoms appear. Use fungicide at 7 to 14 day intervals, or more often if conditions warrant it. If a plant is known to have had powdery mildew previously, apply as buds start to open. Spider mites will start to become active as the weather warms. Systemic insecticides are available against this pest. Verticillium Wilt: Soil drench in the spring. Maples are especially susceptible to this fungal root disease as are cherries and plums. Willow Twig Blight (scab): Apply two or three applications beginning when new leaves first appear at 10 to 14 day intervals. Put slug bait around winter flowers. Apply two to three inches of mulch (e.g. bark dust, garden compost or wood chips) on all of your shrub beds. Covering bare dirt areas in your yard with mulch helps to prevent soil compaction from rains, and weed growth, and helps to enrich our heavy clay soils. Begin planting annual and perennial flowers. Feed the birds. Dutifully maintain your bird feeders. Bring life and excitement to your backyard by turning it into a bird sanctuary. The birds will thank you for your generosity by providing you with hours of entertainment, and by eating insect pests that harm your ornamental trees and shrubs. Birds in the yard are not only fun to watch, but they perform the vital task of eating harmful insects. Start making plans for your vegetable garden. Once the soil has dried out, you can begin working it for planting our veggies. Usually this will occur in late April or early May depending on the weather. This entry was posted in Monthly Garden Calendar and tagged April Gardening, April in the Garden on 2019-04-07 by Nathan Lawrence.